After spending a week in New York city it was interesting to me just how different working out there was. In NYC you see a sea of black coats layered over muted workout attire and everyone bundled from head to toe in order to avoid the bitter cold. Packs of people march into elevators carrying garment bags and they all just blend into one another. To me it seemed the morning workout was just part of the routine, no need to stand out. It is a completely different vibe than what you find in San Francisco. In San Francisco gyms are filled with bright, vibrant colors and bold, standout prints. People in San Francisco use working out as a way of self expression while attempting to do a downward dog in neon pink shorts and a vintage torn up t-shirt. Today I decided to embrace being back in the city and put on my bold Alo yoga pants with my bright neon custom made Nike minimalist shoes. Best bridesmaid gift ever! It feels good to be back home! They have a lot of colors and patterns. Also I should mention they really hold up in a lot of different activities and are super comfy. They have turned into one of my new favorites. Enjoy! 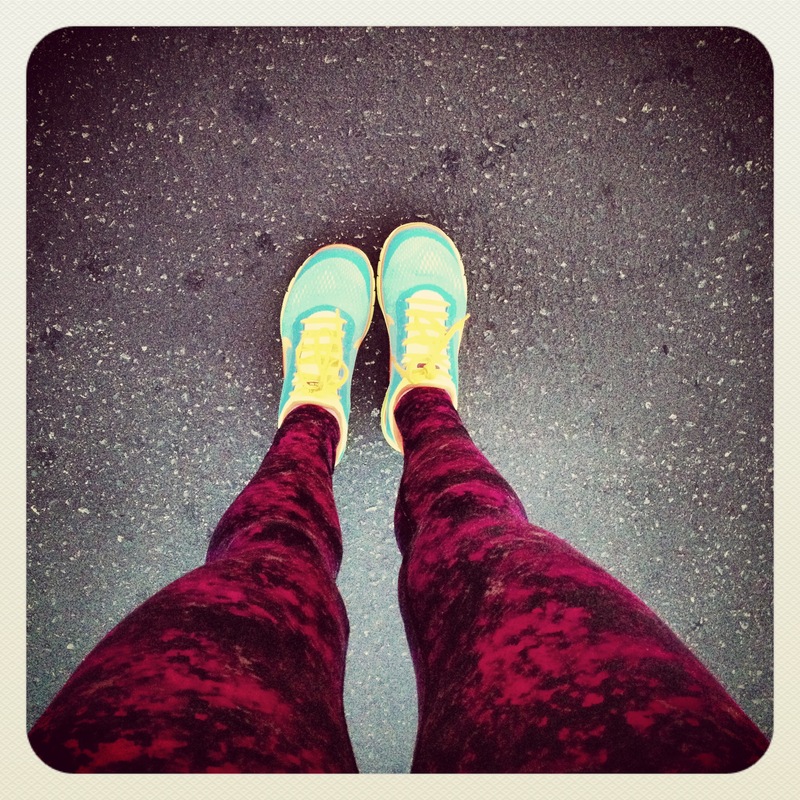 are those the mulberry print leggings?